When you think of a healthy snack, what do you think of? Raw fruits and veggies? A Smoothie? A bar of some kind? It may depend on where you are, what you are doing, and how long before your next meal! To be satisfying, a snack should have some protein in it! 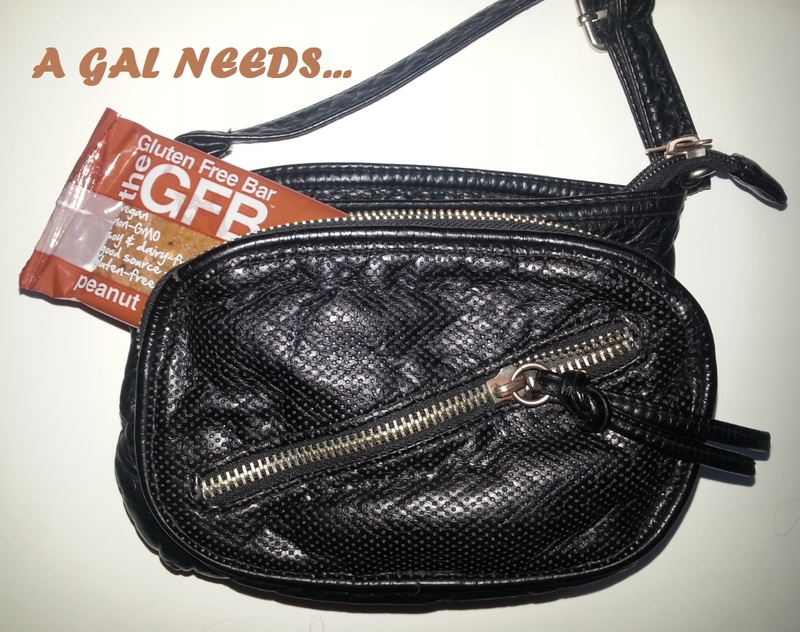 If you are looking for a convenient, satisfying, and wholesome snack, please look at the Gluten Free Bar! It is the most tasty gluten free bar on the market. It comes in many flavors and in a smaller Bite size. When I was given the chance to try these meals in a bar, I was really impressed. Having recently been diagnosed as "gluten sensitive", I really dreaded trying to eliminate or cut down on some of the foods that I've grown up loving, like popcorn, bread, cereal, (sniff, sniff) cakes, cookies, pies, (sob) and pizza (now we're doing the ugly cry). But these bars have given me a brighter hope. With 10 yummy flavors such as peanut butter, dark chocolate coconut, coconut cashew crunch, and chocolate hazelnut, I think I can safely cut down on the glucose without having to feel deprived. That's really good news for me! Plus, they're less than 300 calories! 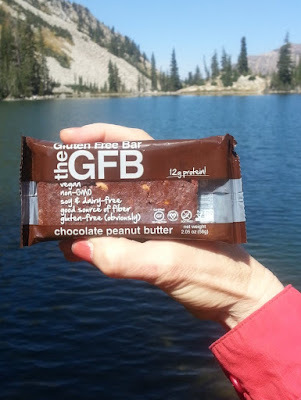 In addition to the taste treat, the Gluten Free Bar really packs a nutritional punch! They are made with all natural ingredients like flax, organic plant proteins, organic dates, nuts, seeds, chocolate liquor! They are non-GMO, non-Soy, and much, much more! You won't be eating a meal for awhile and need something nutritious to maintain your glucose levels. 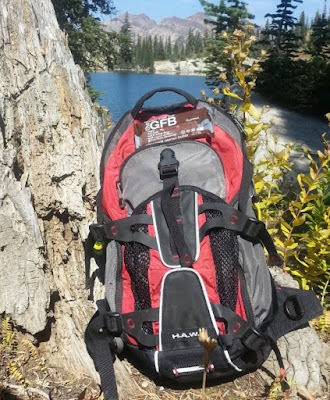 Last weekend my husband and I took a hike to a beautiful lake in Little Cottonwood Canyon. It said 'moderate hike' on the description, but I feel like it was really hard! Hoisting yourself up rocks for a mile isn't my idea of moderate! By the time we were finished, it had been a 6 hour trek. We each took a sandwich, water, and a Gluten Free Bar. We ate the sandwich at the lake, and the bar on the trail down. It was perfect! The bars were so filling and provided the energy needed to make the whole trip. I am a believer in these little nutritional powerhouses and plan on incorporating them into my life! DISCOUNT CODE: the Gluten Free Bar would love for you to try them out. If you aren't 100% satisfied, they will return your money. For 15% off your purchase, use AGALNEEDSGFB at check-out through October 3rd!